Woodsmoke BBQ & Windowsills Pies » Wood. Smoke. BBQ. The New Name Says It All. 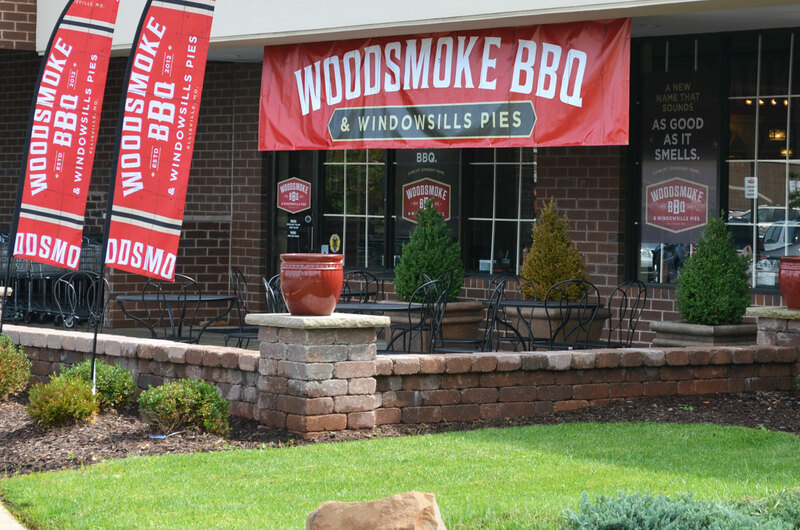 Formerly Windowsills Cafe & Marketplace, we’re proud to have just relaunched under our new name, WOODSMOKE BBQ & Windowsills Pies, at the 10th Annual Wildwood BBQ Bash. We’ll continue our tradition of perfectly-smoked meats, amazing BBQ and family meals. And, let’s not forget our Windowsills Pies – they’ve always been a customer favorite, and we’ll continue to prepare and serve our outstanding pies and desserts. That’s why we kept it in the new name! Stop in our Ellisville, MO location, next to Dierbergs at 1326 Clarkson/Clayton Center and enjoy a smokehouse BBQ feast. Thanks to all our customers that have supported Windowsills over the last two years. We want to keep the tradition going for many years to come! “Like” our new WOODSMOKE BBQ & Windowsills Pies Facebook page and now customers can follow us on Twitter.